We’d love your help. Let us know what’s wrong with this preview of I'm a Stranger Here Myself by Bill Bryson. 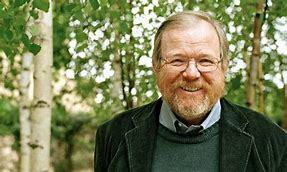 After living in Britain for two decades, Bill Bryson recently moved back to the United States with his English wife and four children (he had read somewhere that nearly 3 million Americans believed they had been abducted by aliens--as he later put it, "it was clear my people needed me"). They were greeted by a new and improved America that boasts microwave pancakes, twenty After living in Britain for two decades, Bill Bryson recently moved back to the United States with his English wife and four children (he had read somewhere that nearly 3 million Americans believed they had been abducted by aliens--as he later put it, "it was clear my people needed me"). They were greeted by a new and improved America that boasts microwave pancakes, twenty-four-hour dental-floss hotlines, and the staunch conviction that ice is not a luxury item. To ask other readers questions about I'm a Stranger Here Myself, please sign up. Bryson asserts on page 86 that "Each year, 40,000 Americans die from gunshot wounds, the great majority of them by accident." I'm no expert on statistics, but according to the basic Google search I just did, 62% of American gun deaths are suicides, 35% are homicides, and the remaining 3% are accidental. Last time I checked, 3% did not qualify as a "great majority." Why did this kind of error go to print unchecked? Bryson grew up in America, married his English wife and moved to England with her. Now, after 20 years across the pond, he moves back. And that's when things got weird. Coming back to your native land after an absence of many years is a surprisingly unsettling business, a little like waking up from a long coma. Time, you discover, has wrought changes that leave you feeling mildly foolish and out of touch. I suppose I feel a milder version of this whenever I visit my p Who says you can't go home? I suppose I feel a milder version of this whenever I visit my parents or extended relatives. Reading his take on returning home was a delight and there were so many parts I could relate to. Christmas tree stands are the work of the devil and they want you dead. In the United States, frozen cheese pizza is regulated by the Food and Drug Administration. Frozen pepperoni pizza, on the other hand, is regulated by the Department of Agriculture. This book was a bundle of joy. However, the spark that so charmed me at the beginning fizzled out - it just got a bit samey-samey. Great book (if I judged solely on the power of the voice (William Roberts)). The reader had excellent timing and tone. Have you ever visited a foreign country for a length of time, to the point where you were caught up in a completely different lifestyle and society, and then when you finally returned home, you experienced a form of reverse culture shock? That is what happened to Bill Bryson when he moved back to the U.S. after living in England for two decades. This delightful book is a collection of weekly columns he wrote for the Mail on Sunday newspaper from 1996 to 1998. Bryson has fun talking about American Have you ever visited a foreign country for a length of time, to the point where you were caught up in a completely different lifestyle and society, and then when you finally returned home, you experienced a form of reverse culture shock? That is what happened to Bill Bryson when he moved back to the U.S. after living in England for two decades. This delightful book is a collection of weekly columns he wrote for the Mail on Sunday newspaper from 1996 to 1998. Bryson has fun talking about American food, going shopping, holiday seasons, going to the movies, going to the beach, the U.S. postal service, U.S. tax forms, and dozens of awkward and humorous encounters he had with fellow citizens. Even though some of the columns showed their age a bit (such as referencing pre-Internet computers and habits) or they included statistics from the 1990s when Bryson was trying to make a point, the pieces were still largely relevant and got at the heart of what it was like to live in America. Is this your favorite Bryson book? No, that honor would go to "A Walk in the Woods," with "At Home" getting second place. Would you recommend this to fellow readers? Yes, but I would say that I don't think it should be the first Bryson book you read. The short columns are fun, but they're not as cohesive as his travelogues or history books. Is this one of those times when you would recommend listening to the audiobook instead of reading the print? Yes, I would. 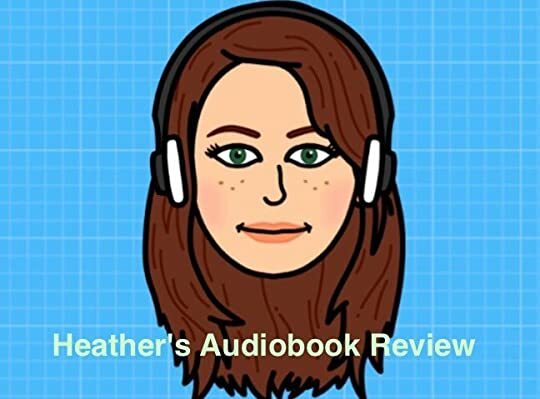 Bryson is a wonderful narrator and I think I enjoyed the book more because I listened to him tell these shorter stories. Why are you reading so many Bill Bryson books? You're getting a bit obsessive. We're concerned and we're thinking of an intervention. WHOA. Everyone can calm down. I'm not obsessed, I've just been working my way through a collection of his audiobooks. They are a delightful way to pass my daily commute to work. You should try it -- some days a Bryson story makes me laugh so hard that it brings tears to my eyes. It's a great way to start the day. Now if you'll excuse me, I have to go listen to his book about visiting Australia. "Coming back to your native land after an absence of many years is a surprisingly unsettling business, a little like waking from a long coma. Time, you discover, has wrought changes that leave you feeling mildly foolish and out of touch. You proffer hopelessly inadequate sums when making small purchases. You puzzle over ATM machines and automated gas pumps and pay phones, and are astounded to discover, by means of a stern grip on your elbow, that gas station road maps are no longer free." "Some weeks ago I announced to my wife that I was going to the supermarket with her next time she went because the stuff she kept bringing home was -- how can I put this? -- not fully in the spirit of American eating. I mean, here we were living in a paradise of junk food -- the country that gave the world cheese in a spray can -- and she kept bringing home healthy stuff like fresh broccoli and packets of Swedish crispbread. It was because she was English, of course. She didn't really understand the rich, unrivaled possibilities for greasiness and goo that the American diet offers. I longed for artificial bacon bits, melted cheese in a shade of yellow unknown to nature, and creamy chocolate fillings, sometimes all the in same product. I wanted food that squirts when you bite into it or plops onto your shirt front in such gross quantities that you have to rise very, very carefully from the table and sort of limbo over to the sink to clean yourself up." "I'm going to have to be quick because it's a Sunday and the weather is glorious and Mrs. Bryson has outlined a big, ambitious program of gardening. Worse, she's wearing what I nervously call her Nike expression -- the one that says, 'Just do it.' Now don't get me wrong. Mrs. Bryson is a rare and delightful creature and goodness knows my life needs structure and supervision, but when she gets out a pad and pen and writes the words 'Things to Do' (vigorously underscored several times) you know it's going to be a long time till Monday." [On why his mother was not a great cook] To be perfectly fair to her, my mother had several strikes against her in the kitchen department. To begin with, she couldn't have been a great cook even if she had wanted to. She had a career, you see -- she worked for the local newspaper, which meant that she was always flying in the door two minutes before it was time to put dinner on the table. On top of this, she was a trifle absentminded. Her particular specialty was to cook things while they were still in the packaging. I was almost full-grown before I realized that Saran Wrap wasn't a sort of chewy glaze. A combination of haste, forgetfulness, and a charming incompetence where household appliances were concerned meant that most of her cooking experiences were punctuated with billows of smoke and occasional small explosions. In our house, as a rule of thumb, you knew it was time to eat when the firemen departed." When in doubt and/or a funky reading mood, pick a Bill Bryson book - that's my (newest) motto. As much as I'd love to re-read favourite books - if only to reacquaint myself with the story/characters and/or to check if they still thrill me as much, it's difficult to do so, when many unread books are beckoning me to pay attention. For the past month or so I've been a reluctant reader. Luckily, I'm still able to listen to audiobooks. So when perusing the library overdrive for audiobooks, I spotted t When in doubt and/or a funky reading mood, pick a Bill Bryson book - that's my (newest) motto. As much as I'd love to re-read favourite books - if only to reacquaint myself with the story/characters and/or to check if they still thrill me as much, it's difficult to do so, when many unread books are beckoning me to pay attention. For the past month or so I've been a reluctant reader. Luckily, I'm still able to listen to audiobooks. So when perusing the library overdrive for audiobooks, I spotted this book and I had to download it even though I read it 10-15 years ago. If the number of owned books is an indication of how much you love a certain author, then the eleven Bill Bryson books gathering dust on my bookshelf make him my favourite author. My love for him, better said for his wit, humour, intelligence, sarcasm, curiosity, observation skills and snark, has reached its highest level and after all these years it's still intact. - having a million and one TV channels and nothing to watch - check. I'm guessing most people still have to drive everywhere as most places don't make any allowances for pedestrians? Things that have changed: desktop computers seem to have put the serial numbers in more accessible places :-), oh, and who remembers the last time they spoke to a real person in a company about installing/setting up anything you bought from them? Okay, maybe it's not an exact 1000. Some of the books I've added to my GR read list are not even books. On the other hand, I know I've forgotten some of the books I read as a kid, so maybe it evens out in the end, and GR's count is probably as accurate as it's going to get. Therefore, let the good times roll! Oh my goodness, that was fun. Okay, back to business. I'm a Stranger Here Myself: Notes on Returning to America after Twenty Years Away is a very long title. It rambles a 1000 BOOKS READ!!! I'm a Stranger Here Myself: Notes on Returning to America after Twenty Years Away is a very long title. It rambles a bit, doesn't it? Unfortunately, so does its author, Bill Bryson. This book loses focus. Sure, these are essays, but even within each essay he gets lost now and then. I am a Bryson fan, but this was not one of my favorites of his. It's a collection from his column in a Brit newspaper. It's mildly interesting for its take on American life viewed through the lens of an American ex-pat returning home after Englishing himself up for a few years. That could be a good premise and most of this is fairly entertaining, but often it devolves into complaining rants. The humor also occasionally falls back on John Cleese's list tactic of comedy creation, where if you don't have a strong premise, you just keep adding to it so that the preponderance of substance eventually feels like quality. You can almost see Bryson flailing around for things to write about. Creating content for a weekly column is no easy task! First think I will say is that this isn't the book I would finish if I didn't have to, for university. I'm not saying that this book isn't good, I'm just saying that this book wasn't for me. Second thing I will say is that I can't believe that I finally finished it. I don't think I've ever needed this much time to finish one book (and the book wasn't even that big). I'm a Stranger Here Myself (or as it was released in England: Notes from a Big Country) is a collection of columns. When Bill Bryson First think I will say is that this isn't the book I would finish if I didn't have to, for university. I'm not saying that this book isn't good, I'm just saying that this book wasn't for me. I'm a Stranger Here Myself (or as it was released in England: Notes from a Big Country) is a collection of columns. When Bill Bryson moved to the United States he started writing columns for British newspapers, and those columns were later collected and put together into a book. And in these columns all Bryson did was moan, moan and (yeah you've guessed it!) moan. It was fun reading it at the beginning, but after few columns it just got annoying. As an expat about to return to the US, this book simply wasn't Weird enough for me. It in no way captures my experience of how completely absurd the US feels upon returning after an extended absence. Obsessions with skinny white girls named Jessica; the unbelievable noise, especially from radio and TV; un-ending ads for stuff on sale (which exist in other places, but when it's in another language, I just tune it out); the fact that no one walks anywhere; the enormous bodies(quitting smoking mayb As an expat about to return to the US, this book simply wasn't Weird enough for me. It in no way captures my experience of how completely absurd the US feels upon returning after an extended absence. Obsessions with skinny white girls named Jessica; the unbelievable noise, especially from radio and TV; un-ending ads for stuff on sale (which exist in other places, but when it's in another language, I just tune it out); the fact that no one walks anywhere; the enormous bodies(quitting smoking maybe wasn't such a great idea, folks...); the amount of non-food items for sale in a grocery store; the general ignorance and out-right disinterest in news from other places; the list goes on. Bill Bryson is an Anglo-American author of books on travel, science, language and other non-fiction topics. Bill Bryson, born in Iowa, lived in England for twenty years before returning to the U.S. with his family. This book is a compilation of humorous articles about America that Bryson wrote for a British publication. The book, published in 2000, is somewhat dated. Even taking this into account many articles have a snarky, annoying tone. This was disappointing as I usually like Bryson's books. Parts of the book did make me smile 😊, including a few satirical - but overly long - articles detailing the million steps required to: fill out an income tax return; get a foreign-born family member declared a legal resident of the U.S; and set up a new computer (of course this is much easier now). Other things on Bryson's mind were more problematic for me, such as his: whining about smoking restrictions because people want to avoid second-hand smoke; griping about letters being returned even though he didn't know the correct address (he seems to feel the post office has an obligation to figure out where he wants his letters delivered); day-trips for fun - which he generally describes as endless hours of driving for 10 minures of recreation, and so on. I wanted to tell Bryson, "if you don't like it here, go back to England" (which he actually did in 2003). The book might be worth checking out of the library but it's not worth buying. He's written much better ones. Bill Bryson has become something like my spiritual guide. Taken together, his works form a roadmap for living life as a middle-aged, oversensitive, bookish, misanthropic, curious, and curiously inept man; and I am following his lead into the sunset. This book was particularly relevant for me, because I recently returned to New York to renew my visa. Like Bryson, I would be seeing my native land after a spell abroad (although my time away was much shorter). As usual, I got the audiobook version s Bill Bryson has become something like my spiritual guide. Taken together, his works form a roadmap for living life as a middle-aged, oversensitive, bookish, misanthropic, curious, and curiously inept man; and I am following his lead into the sunset. This book was particularly relevant for me, because I recently returned to New York to renew my visa. Like Bryson, I would be seeing my native land after a spell abroad (although my time away was much shorter). As usual, I got the audiobook version so I could savor his delicate voice and charming transatlantic accent. The whole experience warms my heart. I’m a Stranger Here Myself originated as a newspaper column for a British magazine, written about the trials of moving back to the United States after living his whole adult life in England. As such, this book is more of a collection than a unified whole. The subject jumps from buying fax machines to filing immigration paperwork, from playing ball with his son to gardening with his wife, not to mention thanksgiving, hair cuts, spell checkers, air travel, the economy, and much else. Strangely enough, the imposed brevity of a newspaper column allows us to see more of Bryson, not less. He mainly writes about whatever is on his mind, and frequently lapses into autobiography. We meet his wife and kids, examine his memories of his childhood, and get a tour of his town. If you like Bryson, this will be delightful; and if not, not. As far as the ostensible subject goes—and I say ostensible because Bryson often strays from it—I cannot say Bryson quite captures the experience of seeing American culture from a distance. He remarks that people here eat too much, walk too little, and consequently weigh too much. He notes our preoccupation with rules, our predilection for junk food, our reflexively optimistic attitude. To his credit, Bryson presciently condemns American xenophobia and our disastrous ‘War on Drugs’. But in general his observations seem rather superficial. Certainly he is no Tocqueville. I cannot resist including one of my own observations here. The thing that has most struck me upon moving back is the paranoia. There was a heat wave when I arrived, and everybody was worrying about it. When it gets cold, we’ll worry about that too. My family and friends are all biting their nails about this election. Indeed, I think it’s fair to say that fear has taken over this election season. On the right, they’re worried about immigrants, Muslims, communists, and Clinton; and on the left, we’re mainly worried about the possibility of a Trump presidency. When I turn on the local news I see there’s been a murder in Brooklyn, a man struck by lightning in Queens, and a fire in Manhattan. In other news, there might be something wrong with our water, certain foods might kill you, and certain hair products might cause cancer. And don’t forget that a terrible epidemic is on the horizon. I normally love Bill Bryson's books. Unfortunately, I could swear this one was written by Andy Rooney. This is the first Bill Bryson book I have read, which, I am told, was a mistake. I know several people who consider Bryson one of their favorite authors and they all seem to agree that this book is not a good "ambassador" for the rest of his work. This book is a collection of newspaper articles that document his move from England to the United States. Most of them explain his bewilderment toward American culture and customs and often longs for the "simplicity" of the British lifestyle. I was ori This is the first Bill Bryson book I have read, which, I am told, was a mistake. I know several people who consider Bryson one of their favorite authors and they all seem to agree that this book is not a good "ambassador" for the rest of his work. This book is a collection of newspaper articles that document his move from England to the United States. Most of them explain his bewilderment toward American culture and customs and often longs for the "simplicity" of the British lifestyle. I was originally under the impression that Bryson was British himself, until I discovered that he was born in Des Moines and moved to England at 24. He has spent the same amount of time in both countries, but it seems like he prefers to consider himself British. That's weird. If you like reading brief, amusing but unrelated snippets about the oddities of life, this may be the book for you. There’s nothing very original in it, but some readers no doubt enjoy the empathy of saying “Oh, I’ve always thought that too”. It’s a collection of short articles written for a weekly British news magazine about adapting to life in the US, after 20 years living in Britain – comparing the two countries and comparing the US of his youth with the version he now finds himself in. And gu If you like reading brief, amusing but unrelated snippets about the oddities of life, this may be the book for you. There’s nothing very original in it, but some readers no doubt enjoy the empathy of saying “Oh, I’ve always thought that too”. It’s a collection of short articles written for a weekly British news magazine about adapting to life in the US, after 20 years living in Britain – comparing the two countries and comparing the US of his youth with the version he now finds himself in. And guess what he finds in the US? Computer help desks are annoying; Americans are litigious and always want to blame someone else; the news is xenophobic; Toys R Us is a silly name; spell checkers are annoying and not very useful; irony is uncommon; obesity is a problem and there are helplines for all consumer products, including dental floss. Whilst it’s often quite funny, I prefer a book, whether fact or fiction, to have some sort of sequence. This would be better as source material for standup routines of observational comedy (or in its original form). Because it was written for a British audience, it’s accessible even to those with little experience or knowledge of the US (whereas Notes from a Small Island needs quite a lot of explanation to some US readers). Bill Bryson grew up in Iowa, then spent twenty years in England. He has returned to the U.S. with his British wife and children. I'm a Stranger Here is selections from his newspaper column which chronicles his experiences. Some of them are funny, like "Dying Accents" and "The Best American Holiday". Others, particularly anything is which he tries to mock the writing style on instructional booklets, electronics, the government (I'm all for mocking the government, but he just doesn't do it well), Bill Bryson grew up in Iowa, then spent twenty years in England. He has returned to the U.S. with his British wife and children. I'm a Stranger Here is selections from his newspaper column which chronicles his experiences. Some of them are funny, like "Dying Accents" and "The Best American Holiday". Others, particularly anything is which he tries to mock the writing style on instructional booklets, electronics, the government (I'm all for mocking the government, but he just doesn't do it well), are overreaching and dull. It pains me to say this because I just read, and LOVED, A Short History of Nearly Everything by the same author, but I'm a Stranger Here Myself: Notes on Returning to America after Twenty Years Away was shockingly dull. A very funny perspective. It must be hard to be both a native and an outsider. Fortunately, Bryson is funny as hell, so the difficulty of it all is related in a way, that might make you laugh out loud, if you're a laughing out loud sort of person. I read this several years ago, so I have no idea what it was about. But I do know that I have LOVED every Bill Bryson book that I have ever even seen, let alone read. I think Bill Bryson is very cool. I'd like him to be my neighbor. He could write stories about me. Like "I have this neighbor who stands in her garden and chats with her plants. She introduces the new ones when they arrive. She asks everybody how they are doing and if they are thirsty. Boy, she sure is a great lady." Ok, I don't re I read this several years ago, so I have no idea what it was about. But I do know that I have LOVED every Bill Bryson book that I have ever even seen, let alone read. I think Bill Bryson is very cool. I'd like him to be my neighbor. He could write stories about me. Like "I have this neighbor who stands in her garden and chats with her plants. She introduces the new ones when they arrive. She asks everybody how they are doing and if they are thirsty. Boy, she sure is a great lady." Ok, I don't remember if he even wrote stuff like that. But since I really like him, I like to think that if he was my neighbor he would. I always really want to love Bill Bryson, but never can quite get there, he's like the best friend you want to fall in love with, but just doesn't have the magic. Usually I get about halfway or even (on a good day) three-quarters of the way through his books and I start to find him annoying or repetitive. This, I had less issue with...as it's a collection of his newspaper columns, so they're short vignettes, and difficult to get tired halfway through. Also, I read this one sporadically over seve I always really want to love Bill Bryson, but never can quite get there, he's like the best friend you want to fall in love with, but just doesn't have the magic. Usually I get about halfway or even (on a good day) three-quarters of the way through his books and I start to find him annoying or repetitive. This, I had less issue with...as it's a collection of his newspaper columns, so they're short vignettes, and difficult to get tired halfway through. Also, I read this one sporadically over several months, so again, less time to get irritated. I enjoy his comparisons of the UK to the US, though I am not sure I buy all of them--although he always hit the nail on the head when he talked about everything in America being big: houses, cars, serving sizes, people. I got fairly annoyed at his cutesy way of tidying up each column with a summation sentance, but I found that if I just didn't read the last paragraphs of each chapter, I did ok. This is the first Bill Bryson book I have read and I found it laugh out loud funny. My husband was given it as a christmas gift and when he started reading it kept reading bits out to me because he thought they were so funny. We gave up on that approach and started reading it together and both loved it. Some of that might have been that we have just moved back to Australia from the US and enjoyed the reminders of some of the more quirky aspects of US culture that we miss, and also could relate t This is the first Bill Bryson book I have read and I found it laugh out loud funny. My husband was given it as a christmas gift and when he started reading it kept reading bits out to me because he thought they were so funny. We gave up on that approach and started reading it together and both loved it. Some of that might have been that we have just moved back to Australia from the US and enjoyed the reminders of some of the more quirky aspects of US culture that we miss, and also could relate to some of the frustrations he experienced in moving back there. This has inspired me to check out some of his others books which if the reviews on here are to go by should be even better than this. I rated this a little lower than other books by Bryson because it shows the constraints of being a collection of newspaper columns, written to a length limit and a deadline. That said, there were some real gems in the mix. The column about re-learning an adult vernacular (spackle? Polyfiller?) was good for a laugh - at the time, I was struggling with the same thing over infants' paraphernalia (diaper? nappy?) because despite having lived in the US for years, I hadn't had to use those words since I rated this a little lower than other books by Bryson because it shows the constraints of being a collection of newspaper columns, written to a length limit and a deadline. That said, there were some real gems in the mix. The column about re-learning an adult vernacular (spackle? Polyfiller?) was good for a laugh - at the time, I was struggling with the same thing over infants' paraphernalia (diaper? nappy?) because despite having lived in the US for years, I hadn't had to use those words since I was a child... and hadn't updated accordingly. The columns about the post office and the skunk were also good for a laugh. Do the English understand Americans? And do Americans know anything about the English? I came across something in our bathroom the other day that has occupied my thoughts off and on ever since. It was a little dispenser of dental floss.It isn't the floss itself that is of interest to me but that the container has a toll-free number printed on it. You can call the company's Floss Hotline twenty-four hours a day. But here is the ques Do the English understand Americans? I came across something in our bathroom the other day that has occupied my thoughts off and on ever since. It was a little dispenser of dental floss.It isn't the floss itself that is of interest to me but that the container has a toll-free number printed on it. You can call the company's Floss Hotline twenty-four hours a day. But here is the question: Why would you need to? I keep imagining some guy calling up and saying in an anxious voice, "OK, I've got the floss. Now what?" We generally camped in motel rooms where the beds sagged as if they had last been occupied by a horse and the cooling system was an open window and where you could generally count on being awakened in the night by a piercing shriek, the sound of splintering furniture, and a female voice pleading, "Put the gun down, Vinnie. I'll do anything you say." I don't wish to suggest that these experiences left me scarred and irrationally embittered, but I can clearly remember watching Janet Leigh being hacked up in the Bates Motel in Psycho and thinking, "At least she got a shower curtain." I have never had a garbage disposal before, so I have been learning its tolerances through a process of trial and error. Chopsticks give perhaps the liveliest response (this is not recommended, of course, but there comes a time with every piece of machinery when you just have to see what it can do), but cantaloupe rinds make the richest, throatiest sound and result in less "down time." Coffee grounds in quantity are the most likely to provide a satisfying "Vesuvius effect," though for obvious reasons it is best not to attempt this difficult feat until your wife has gone out for the day and to have a mop and stepladder standing by. Even better were the sheriff's deputies in Milwaukee who were sent to the local airport with a team of sniffer dogs to practice hunting out explosives. The deputies hid a five-pound package of live explosives somewhere in the airport and then-I just love this-forgot where. Needless to say, the dogs couldn't find it. That was in February, and they're still looking. It was the second time that the Milwaukee sheriff's department has managed to mislay explosives at the airport. The other day something in our local newspaper caught my eye. It was an article reporting that the control tower and related facilities at our local airport are to be privatized. The airport loses money, so the Federal Aviation Administration is trying to cut costs by contracting out landing services to someone who can do it more cheaply. What especially caught my attention was a sentence deep in the article that said, "A spokeswoman with the Federal Aviation Administration's regional office in New York City, Arlene Sarlac, could not provide the name of the company that will be taking over the tower. "Well, that's really reassuring to hear. Now maybe I am hypertouchy because I use the airport from time to time and have a particular interest in its ability to bring planes down in an approximately normal fashion, so I would rather like to know that the tower hasn't been bought by, say, the New England Roller Towel Company or Crash Services (Panama) Ltd., very least, that the Federal Aviation Ad ministration would have some idea of whom they were selling the tower to. Call me particular, but it seems to me that that's the sort of thing you ought to have on file somewhere. I have always wanted to read Bill Bryson's books for a long time and can say that I found this novel extremely funny and saw me chuckling well into the night. It gave me a better understanding of the culture of Americans and the culture shock that Bryson found on returning to the United States. There are a number of essays with various subject matter ranging from policies on drugs to "where has the year gone ?" The same place as my hair. The whole time he was poking fun at himself a lot. It also I have always wanted to read Bill Bryson's books for a long time and can say that I found this novel extremely funny and saw me chuckling well into the night. It gave me a better understanding of the culture of Americans and the culture shock that Bryson found on returning to the United States. There are a number of essays with various subject matter ranging from policies on drugs to "where has the year gone ?" The same place as my hair. The whole time he was poking fun at himself a lot. It also gave me informative statistics of why Americans only walk 350 yards a day and the importance placed on cars and exercise and a whole lot more. Well worth a read. At funtrivia.com, one of the (many) ways a quiz can go from a relatively high ranking to "very poor" between the time I start and the time I finish is a factual error that causes me to get a question wrong. Research is a beautiful thing. Half of me is willing to give Bill Bryson the benefit of the doubt; the other half is ready to excoriate him on what may be a false impression. I'll attempt to keep it reserved. Bryson's column "The Waste Generation," about two-thirds of the way through I'm a Stranger Here Myself, starts off with a statistic that's quite simply wrong ("One of the most arresting statistics I have seen in a good while is that 5 percent of all the energy used in the United States is consumed by computers that have been left on all night." Wrong; a computer and a monitor, left on twenty-four hours a day, together consume approximately a dollar's worth of electricity per month. The computer is one of the most energy-efficient machines on the planet today). The American home computer revolution happened while Bryson was out of the country, so I'm willing to give him the benefit of the doubt. It would have been nice, however, had he mentioned his source. A forgivable error, perhaps, though basing a whole column on it is rather disturbing. But the part of the column that bugs me is farther down: "I have glanced out hotel room windows late at night, in a variety of cities, and been struck by the fact that lots of lights in lots of office buildings are still burning... why don't we turn these things off?... Why, after all, go through the irksome annoyance of waiting twenty seconds for your computer to warm up each morning when you can have it at your immediate beck by leaving it on all night?" Two different questions with two entirely different answers, but Bryson goes on to turn it into a discussion of American wastefulness with its natural resources. He may be reaching the right conclusion, but if so, he's doing a 180 from where he started. To answer the latter question first, in modern computers with the Energy Saver features (which do nothing of the sort) turned off, it takes less power to leave a computer on all night than it does to shut it down and start it up. (To address another point he makes in the same passage, it's also more efficient to leave cars running for short periods rather than turning them off and back on. Any electrical appliance requires something of an electrical security deposit to get started, just like an apartment renter has to put down "amount of monthly rent times three" or somesuch in order to move in.) The former answer takes longer, but the short answer is that the Federal government, during the 1974 oil crisis, was taking out full-page ads in various magazines (I used to see them on a regular basis in Time) telling us that leaving lights on all night in buildings is what we SHOULD do, because electric lights give off heat, and at the time it was cheaper to heat a building by leaving its lights on and cranking the gas heat down six degrees or so. That situation went away with the end of the fuel crisis, of course, but the government never took those ads out in time. Here's where I get a little wonky with Bryson. The subtitle of the book is "Notes on returning to America aftetr twenty years away." If the number is, in fact, twenty, then Bryson was in the country when the Government was running those full-page ads. And thus, given that he's all too well aware of the average Joe's lack of common sense, he could have come to the same conclusion by poking fun at the fact that the average Joe never stopped leaving the lights on all night after the fuel crisis was over. But he doesn't. Humor is a wonderful thing (and let me hasten to say that there is a good deal of it here), but one of the prerequisites for humor of any sort should be that's it's based on fact. The humorist is, in many cases (and certainly in this one) using humor to get a point across, and doing so with factual errors leaves a very bad taste in my mouth. Factual errors by ignorance leave less of a bad taste in my mouth than factual errors by design. That's what I see in this essay, and it makes me wonder how many others, with circumstances with which I'm less acquainted in this book, are founded on the same sleight of hand. Perhaps one error shouldn't taint my view of a whole book, but I can't help it. After all, when an expert witness admits he falsified one fact in one trial that changed the outcome, how often do you think he'll be getting called to testify after that? 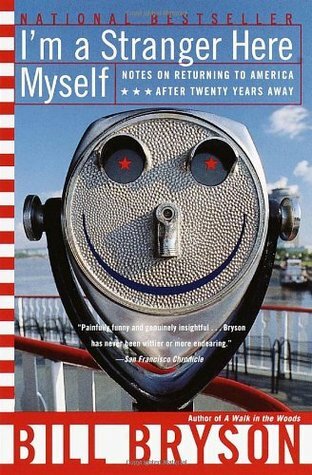 “I’m a Stranger Here Myself: Notes on Returning to America after Twenty Years Away” by Bill Bryson is a collection of seventy comical weekly columns written for the British newspaper “Mail on Sunday” in 1996-1998. After living in Britain for almost two decades, Bryson moved back to the United States, his homeland. Together with his English wife and four children, Bryson settled down in Hanover, New Hampshire, from where he wrote the weekly columns about his reacquaintance with A WHAT IS IT ABOUT? “I’m a Stranger Here Myself: Notes on Returning to America after Twenty Years Away” by Bill Bryson is a collection of seventy comical weekly columns written for the British newspaper “Mail on Sunday” in 1996-1998. After living in Britain for almost two decades, Bryson moved back to the United States, his homeland. Together with his English wife and four children, Bryson settled down in Hanover, New Hampshire, from where he wrote the weekly columns about his reacquaintance with American culture. “I’m a Stranger Here Myself” is full of hilarious and shamelessly frank observations of American lifestyle in the ‘90s as well as nostalgic reminiscences of America in the ‘70s. 1) Thoughtful, sidesplittingly hilarious and seemingly effortless. I sincerely don’t remember the last time a BOOK made me laugh out loud so hard, so many times. It seems like Bryson can write an engaging, thoughtful and, above all, hilarious essay about absolutely ANYTHING, let it be dental floss, breakfast pizza, keyboard, garbage disposal, cupholder, or taxes. What is more, he makes the writing seem effortless, as if he wrote the essays as fast as I’ve read them. In addition to being clumsy and childishly silly, Bryson is often grumpy and rather whiny. But, underneath his crankiness, you can see a glimpse of a warm, bright, observant, humble, and extremely witty personality that instantly wins you over. Oh, and he NEVER misses a chance to laugh at himself. 3) Outdated but still quite relevant. Although “I’m a Stranger Here Myself” was written more than sixteen years ago, in its pages I could easily recognize my own impressions of the US when I first came here five years ago (choice abundance, vastness of the country, incomprehensive tax forms and bizarre junk food options, just to name a few). I guess some things never change. The other more time-sensitive essays on technology and ‘90s statistics as well as snippets from the author’s childhood maybe are not that relevant but definitely highly entertaining (and also quite educational). 1) Not meant to be read all at once. “I’m a Stranger Here Myself” is kind of a bathroom read and is most enjoyable if read in short spurts over time (like weekly columns are supposed to be read). Otherwise, the essays become a little bit repetitive and tiresome, and Bryson’s whining, though truly hilarious, finally gets to you. "The last time I arrived at Heathrow Airport, for instance, the official who checked my passport looked me over and asked: 'Are you that writer chap?' I was very pleased, as you can imagine, to be recognized. 'Why, yes I am,' I said proudly. 'Come over here to make some more money, have you?' he said with disdain and slid back my passport. You don't get much of that in the States. By and large, people have an almost instinctively positive attitude to life and its possibilities. If you informed an American that a massive asteroid was hurtling toward Earth at 125,000 miles an hour and that in twelve weeks the planet would be blown to smithereens, he would say: 'Really? In that case, I suppose I'd better sign up for that Mediterranean cooking course now.' If you informed a Briton of the same thing, he would say: 'Bloody typical, isn't it? And have you seen the weather forecast for the weekend?'" A wonderfully poignant collection of Bryson's published news paper article. After twenty years in England, where he married and had his children, Bryson returns to America to an interesting version of culture shock. We follow him over a few years worth of articles as he reeducates himself with the strange ways of Americana. Everything from a day at the beach to children leaving the nest, Bryson shows us his world, both intimate and familiar. His style is humorous and quirky, a lovely mix. You ca A wonderfully poignant collection of Bryson's published news paper article. After twenty years in England, where he married and had his children, Bryson returns to America to an interesting version of culture shock. We follow him over a few years worth of articles as he reeducates himself with the strange ways of Americana. Everything from a day at the beach to children leaving the nest, Bryson shows us his world, both intimate and familiar. His style is humorous and quirky, a lovely mix. You can see Queen's English as well as American English in his writing, a trait I rather enjoy. He is at times annoying with his views, as an old man on his front porch, but then he's no spring chicken. Some of his writing are silly and happy memories from childhood, or experiences with his own children. Other occasions show his profound disappointment in the difference between England and America. One gets the feeling that, while he is a patriot, he's also a "red coat". Today I had a doctor's appointment and that is when I remembered I am also reading this book. It is a series of humorous columns written by the author detailing his experience returning to the US. It makes for quick reading and is good when I am somewhere busy like a waiting room or airport. Well, it took several doctor's appointments and a hospital stay but I finally finished the book. The time it took me to read is no reflection on the quality of the book. Bryson is an outstanding writer. I can Today I had a doctor's appointment and that is when I remembered I am also reading this book. It is a series of humorous columns written by the author detailing his experience returning to the US. It makes for quick reading and is good when I am somewhere busy like a waiting room or airport. Lovely collection of articles. Funny, witty, charming, reads like a dream. I can hardly wait to begin reading another book by Mr. Bill Bryson. Bill Bryson moves back to America after living in England for 20 years, and writes a weekly column for the two first years wherein he described every day things and events in his life. Later he turned these columns into a book, and called it "I'm a Stranger Here Myself"
I would recommend this book to anyone, but especially to those that have (like me) traveled to America and found it amazing and wonderful and strange and awful, all at the same time. Also, if you possibly can, do try to find the A Bill Bryson moves back to America after living in England for 20 years, and writes a weekly column for the two first years wherein he described every day things and events in his life. Later he turned these columns into a book, and called it "I'm a Stranger Here Myself"
Tal vez el libro más gracioso que he leído en mi vida. Los gringos no son tan prácticos como se cree, están locos y tan jodidos como nosotros. No lo digo yo, sino un gringo como Bill Bryson.